Looks like they took Agent Orange too the old console map!. Though for PC players sake, I hope they put the tier cap on it like the console devs eventually did. Trying to traverse that thing in a Maus isn’t terribly fun. It’s a pretty bad map, trust me. No matter what tank I play, I just cannot find the best location. Far too small for lights, not enough sight lines for TD, arty can strike whenever, and heavies have to deal with it. Mediums get pinned by heavies and TDs in the few areas where they can shoot. Having played it a few hundred times (especially when it first came out :P) its a hoot at lower and mid tiers. Is it time to cancel the apocalypse? It has a nice atmosphere to it in the screenshots. Though all that sea, a TOG would feel right at home. About it’s size. Is it 1000×1000 or 800×800? The effective real estate seems underused as a lot is taken up by useless sea areas. Enlarging the landmass by a few percent would give the island more usable land areas. Well of course. The entire team should be my backup :P.
Yup. Been on the Xbox version for awhile. The southern cap looks much more exposed, especially for arty fire. Nice change though. Good map for suicide tanks. Make the water shallow please. Yay! Lots of water to drown. I am excited! Not that new really, been on Xbox for ages. Though this now mean that the single Xbox exclusive map now, well isn’t lol. Scorpion’s Canyon is exclusive, although it really is just a rip-off of El Halluf on steroids. Note I said Xbox, Great Wall is on PS4 too, while Scorpion Pass is Ps4 only. Scared valley (castle in the middle) is based on Korea. Like the look of the map, especially the topography. I’ve always enjoyed maps where the knowledge of how to use hills and defilades is crucial. It’s beautiful. Whether or not it will be a good map to fight on is a different matter altogether. I remember the island map in Armored Warfare… I always thought it was pretty weak. It’s generally a snipe fight with large areas of no-man’s land in the middle. Heavies generally attempt to push flanks. Biggest mistake is turtling. The team on the hill generally commits this sin and pays for it. gj copying one of the worse AW-maps … classic WG-move. You do realize this map started development on the xbox before AW became public beta right? ‘classic’ implies they have done it before. Please elaborate what other maps they copied? This looks a lot like Pacific Island on Xbox. And by a lot I mean I recognized it immediately. It’s a very good map IMO though I wouldn’t wanna play any paper TD’s on it. I love seeing it come up if I’m in a medium. If this is a 1k*1k map, how does this not have the same problem as Kareilia and Hidden Village had with to much of the map not being accessable? You don’t see much daylight, do you? off topic: have you seen ESCAPE FROM TARKOV Rita? Don’t know how into MMOFPS you are. It’s supposed to be a spiritual successor to the STALKER series. Oh, but that looks very interesting. I especially like the part about being able to play as a bad guy and go after players :P.
I just hope they get the MMO part right and the game doesn’t end up like The Division does, but I’m keeping my eye on that one. oh, that map looks great, le me guess? that is a non PC-version map? First, i like it…mostly. I do think WoT is long overdue for a more Pacific Theater map. That being said, i do think land mass vs open water could be increased without loosing the idea that you are on an island. 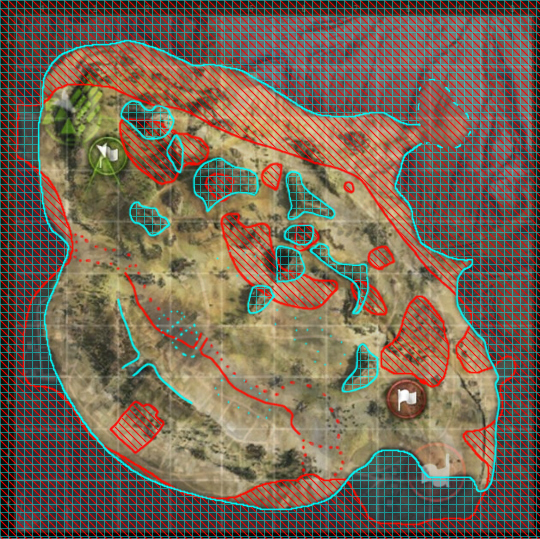 Maybe a 2nd Island…or two islands as spawn/flag spots with a bigger 3rd island between? So far as comments regarding driving a Maus….well, rather than Tier limits, why not limit the map to Japanese, American, British and….ok Chinese tanks? Just a thought. Do it in a T95 then, or an Anime tank…doubt that’s a much different experience. I see fast mediums turning this map into a turkey shoot. I’m curious how it’ll play out. The map from the xbox…wow…how lazy can you get wargaming PC? I can’t imagine how a tank fight would take place there in real life. Huh. It looks remarkably like the Pacific Island map from WoT Console. Don’t tell me the console scrubs have come up with a good idea that is being adopted by the PC gaming master race! Im just gonna leave this out here…. How many noobs will rush the water and die within the first min and how many arties will just go drown themselves.